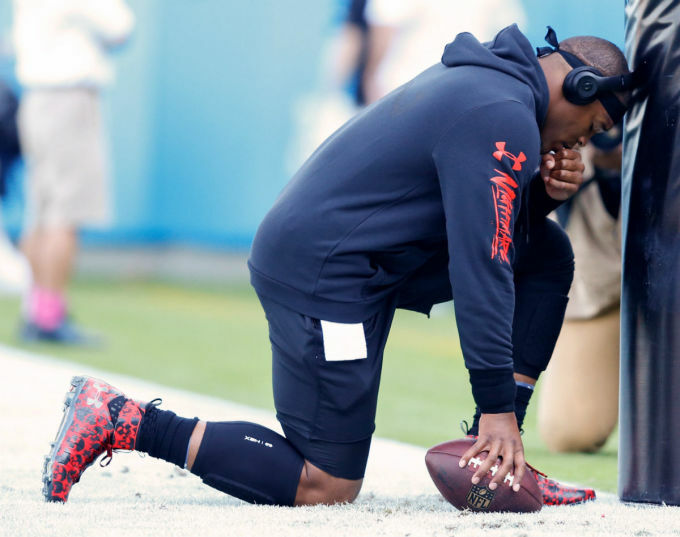 Before the Carolina Panthers hosted their game against the Arizona Cardinals today, Cam Newton was spotted during pregame warm-ups wearing a special pair of cleats. 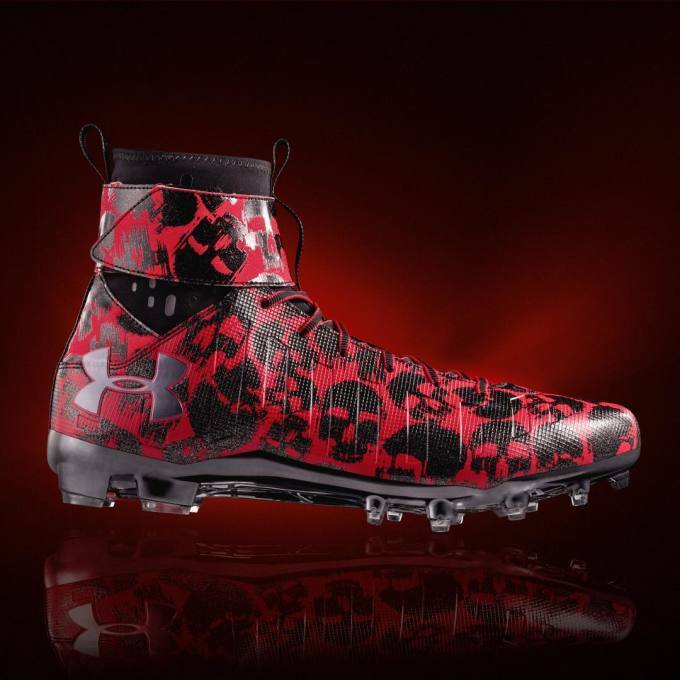 In anticipation of Halloween, Under Armour customized Newton&apos;s pair in a red and black skull print. 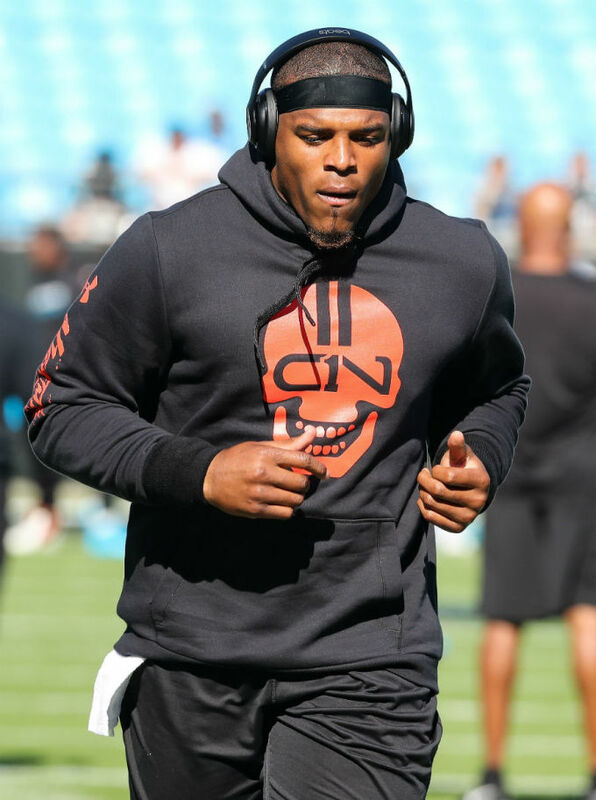 The quarterback was also given a matching hoodie. Because you&apos;re not allowed to have fun in the NFL, Newton had to change into a pair of cleats in team colors for the actual game.